Tamar’s love of romance started way back in adolescence, but she never thought she’d write the stories that had her reading deep into the night (by torch light so her parents wouldn’t catch her). But life does love a good curve ball and one day she woke up from a dream and a concept that wouldn’t go away, and much cursing and passion filled hours later, the Prime Prophecy Series became a reality. What was even more rewarding was when her epic story of a love that defies boundaries won the Romance Writers of Australia 2015 First Kiss competition and finalised in the Heart of Denver 2015 Molly Award. The next thing she knew more characters came knocking, demanding for their lessons to be shared and their stories to be told. 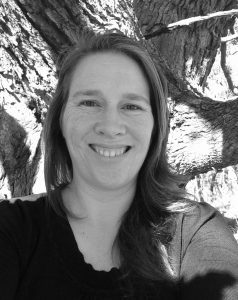 When not reading, writing or working with teens, Tamar can be found with her ever-patient husband and two beautiful sons enjoying country life on their small acreage in the Australian bush. Tamar finds it deeply rewarding to share her stories and she loves to hear from her readers and fellow lovers of all things book related. You can find her at www.tamarsloan.com or on Facebook www.facebook.com.au/tamarsloanwriter or Twitter www.twitter.com/sloantamar.